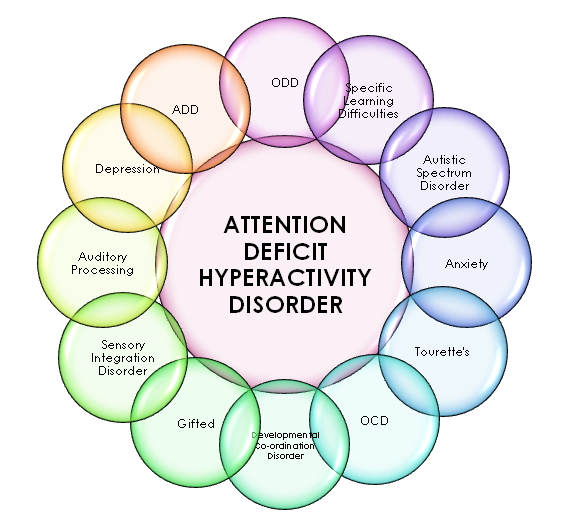 Attention deficit hyperactivity disorder (AD/HD) is a condition typically first evident in early childhood. Symptoms include deficits in attention, concentration, and short-term memory. Behaviorally, children with AD/HD are overly active (as if “driven by a motor”) and unable to remain seated, highly distractible, and impulsive. Concerns about AD/HD often initially arise during kindergarten or first grade, since these deficits significantly impair academic performance and are disruptive in a typical classroom. However, AD/HD is increasingly viewed as a lifelong condition with functional impairment extending throughout adulthood.